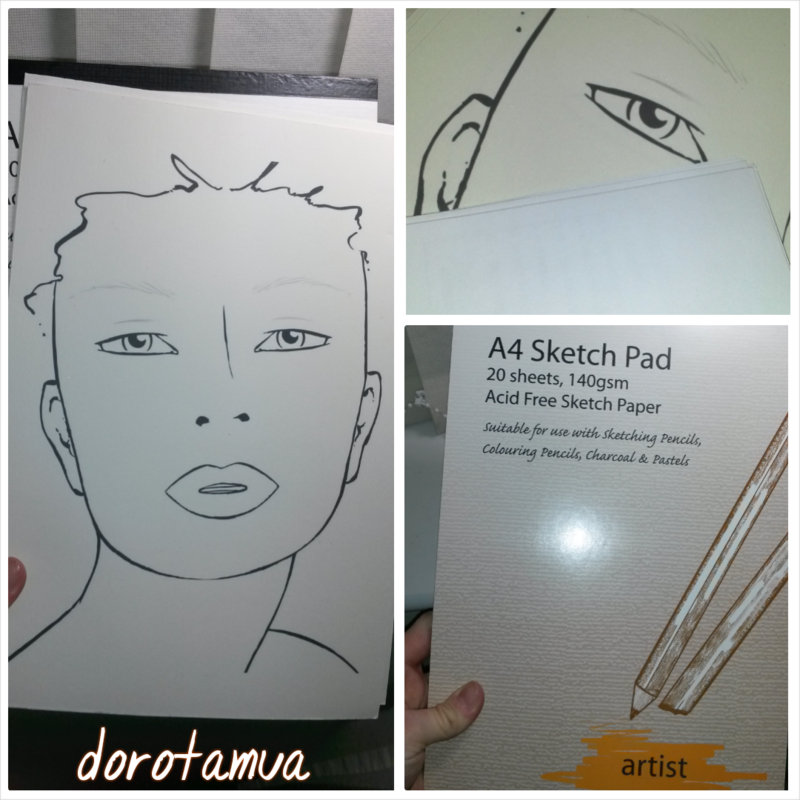 My paper is lightly textured, yellow tinted if compared to white printing paper …most products sets good on the surface. I have few different face chart templates downloaded from Google search engine – currently I print it on my inject printer. In my opinion brushes aren’t always best tool on blending on this paper so I use mostly my fingers and smudging sponge tip. I use tip end that left after my old Clinique pencil – but on sale are also proper sponge smudge – brushes. I prepared set that includes: cheap face powder; sponges; sponge tip smudge tool – that are only used for making my face chart. I am not use it on clients. Sanitizing and cleaning of hands, tools – prior, during making face charts, when changing products, colours – is a must have! 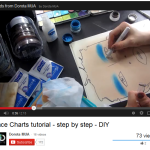 It also helps to make a face chart spot clean. Normally if I do make-up – I use Royal and Langnickel silk smudge tip brush. After finish I always sanitize and wipe off top layer of all my eye-shadows, powders, blushes or bronzers, that I used. Eyelashes and lines done by black permanent marker on the video – but for eyelashes and lines could be better to use gel pen or thin shaped tip permanent markers.